Gary Schoeniger, has emerged as an internationally recognized thought leader in the field of entrepreneurial mindset education. 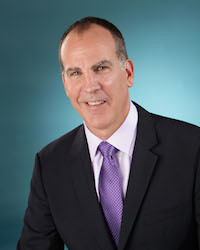 As the founder of the Entrepreneurial Learning Initiative, Schoeniger has influenced a broad audience from higher education and economic development organizations to government, corporate and non-profit clients worldwide including the Ewing Marion Kauffman Foundation, the Cisco Entrepreneur Institute and the U.S. State Department. Schoeniger also led the development of the Ice House Entrepreneurship Program, which has been recognized by the Kauffman Foundation as “redefining entrepreneurship education in classrooms and communities around the world”. With his focus on the entrepreneurial mindset, Schoeniger has presented numerous keynotes, workshops and training programs throughout the US and abroad. Recent engagements include the Global Entrepreneurship Congress in Rio de Janeiro and Moscow, as well as speaking and training programs in Athens, London, Bogota, Buenos Aires, Mexico City, Sofia, Santiago, Aberdeen, Nicosia, Zagreb, Tbilisi and Baku. Schoeniger, along with Pulitzer nominee Clifton Taulbert, is also the co-author of Who Owns The Ice House: Eight Life Lessons From An Unlikely Entrepreneur, an international bestseller described as “required reading for humanity”.